Unlike many ancestral and animist cultures throughout the Indonesian archipelago, Nias society lacks a strong tradition of textile weaving. While simple woven cloth was produced using back-strap looms on the island, the use of plaindyed barkcloth and imported cotton, which was then embellished with embroidery and appliqué, was far more widespread. 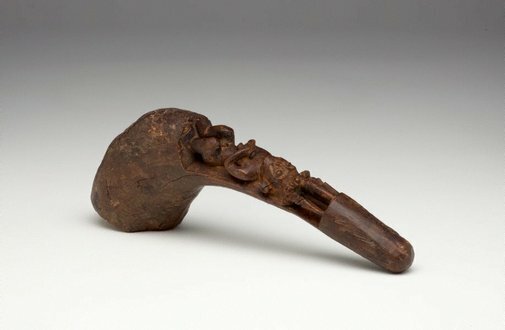 The earliest known textiles of the Austronesian language groups in mainland and insular Southeast Asia were fabricated by beating the bark of trees to produce a felted cloth. Heavy instruments of stone and wood were used to produce various grades of barkcloth, from thick unfinished hides, which provided excellent physical protection, to softer cloth used for refined garments and accessories. 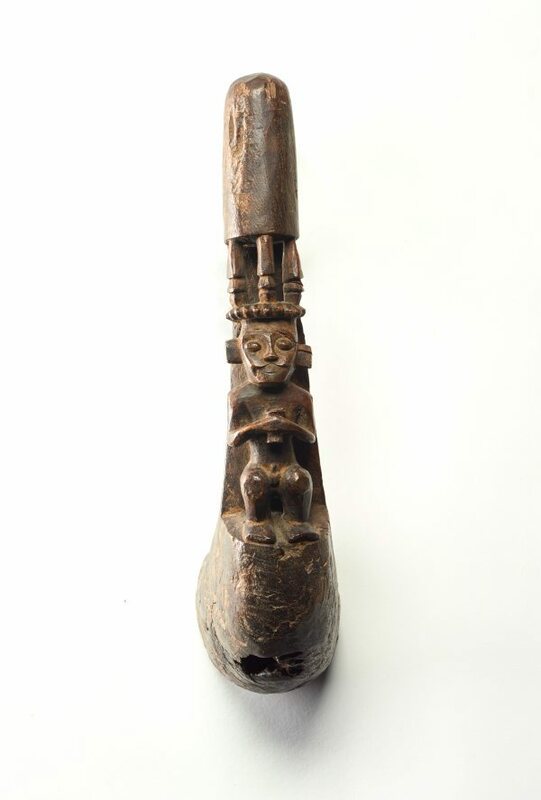 This unusual mallet depicts a distinctive male adu image wearing a pronged headdress and clasping a small cup. The figure renders the object decorative rather than functional and was probably carved subsequent to its practical use. Christopher Wilson, pre Nov 1986-1996, Sydney/New South Wales/Australia, purchased in Indonesia. 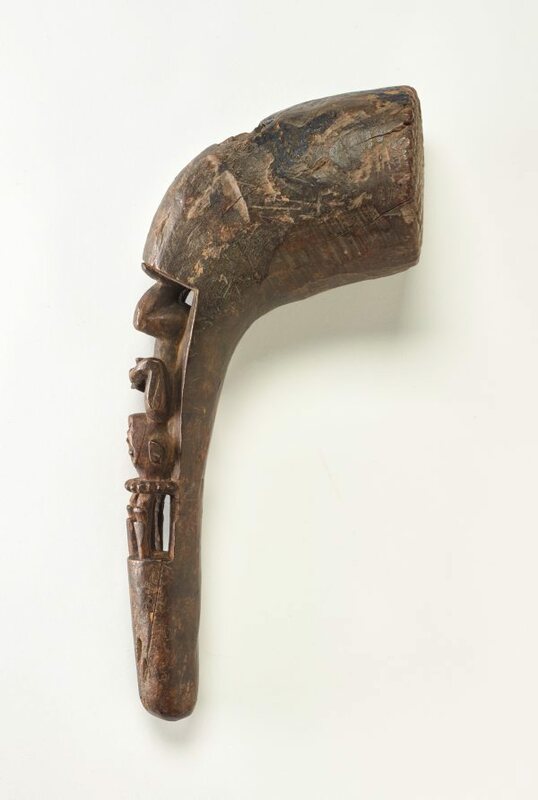 Appears in 'Southeast Asian tribal art', an unpublished text by Christopher Wilson, College of Fine Arts, Sydney, November 1986. Ancestral art of the Indonesian archipelago , Sydney, 2017, 39 (colour illus. ).